The USB connection is still an important part for mobile phones and PC/Laptops. Though the Cloud Computing and Online Drive options are widely used by the users, there are so many things which need to be done via USB. It allows you to share, transfer, sync, or grant any other permission which is necessary in some cases. So, in order to complete these actions, you have to connect your Android device with your computer for sure. The USB Drivers are one of them and play a huge role for USB connection. 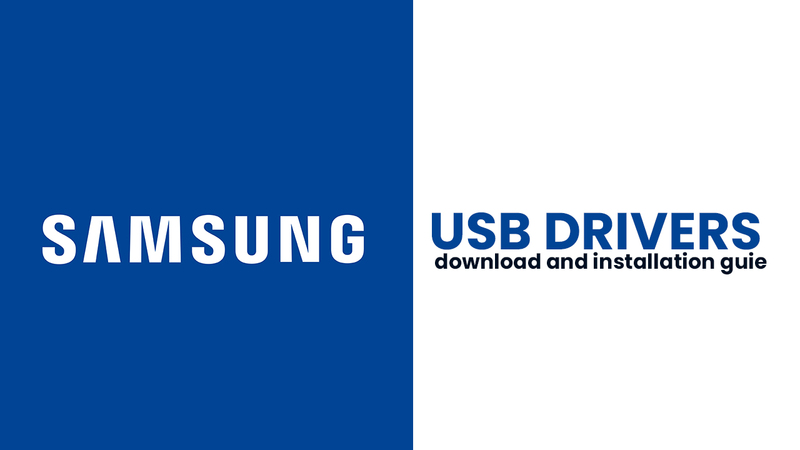 In this article, we will discuss some of the features and how to download the Samsung USB Driver for Android (v1.5.63.0). Now you may ask why Samsung? That’s only because of some limitations and usability of Samsung USB Drivers. Mostly, the Samsung devices depend on the USB connections to transfer files, connect to ADB and Fastboot, or simply charge your phone. While the Samsung Custom ROM users and developers know well the importance of Samsung USB Driver for Android phones. The USB Driver ensures the secure and stable establishment between mobile and computer. So the user can do work properly. The manufacturer also offers Samsung Kies software for their devices. It comes with the USB Driver, but if you don’t want to install it, just download and install the USB Driver. The USB driver supports on Windows 7/8/8.1/10 OS platform. Just download the preferred driver for your need. The Samsung USB Driver for Android file size is considerably smaller, 9.4 MB (approx). Currently, it’s only available for Windows OS version. Because, if you’re using Mac/Linux OS computer, you don’t need to install USB driver seperately. Just connect your Android device (Samsung or any) and do whatever you need. The given USB driver version will work on most of the Samsung Galaxy devices. Such as Samsung Galaxy Note 8, Galaxy S8/S8+, Galaxy Nexus, Galaxy J Series, Galaxy A Series, and more. First, You need to download Samsung USB driver zip file from the download link given above. After downloading, extract the file on your PC (via WinZip or 7-Zip). Open the extracted driver folder and you will find the application Samsung-USB-Driver-v1.5.63.0 (.exe). Just choose the installation path here (C:\Program Files\Samsung\USB Drivers). Proceed to Install the application. Once completed, click on Finish button. Now you’re able to download and install Samsung USB Driver Phone v1.5.51.0 zip file on your PC. Simply connect your phone with your PC via USB cable. Sync your device data on Windows PC and enjoy the file transfer.